This is a great daily face wash that cleans my skin but does not dry it out. My skin feels very healthy after using this. 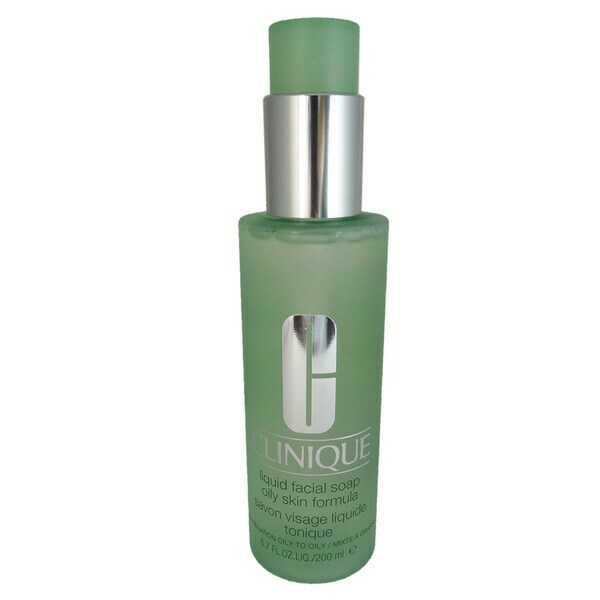 The oily skin formula by Clinique provides gentle cleansing without stripping. This gentle facial soap thoroughly removes dirt, impurities and excess oil. Leaves skin feeling clean and fresh. I have oily skin and this product does work great! My daughter has an oily T spot and she uses this. She says shes very happy and won't use anything else. Shipping was swift and the packaging was excellent. facial cleanser. No perfume, light, great lather, good for sensitive and acne prone adult skin. I love this facial soap. I have acne prone, dry and sensitive and this cleanser doesn’t over dry or cause irritation! Longtime user of Clinique...love this soap will buy again! !